This year’s CES selection has been really interesting to follow for me. Everything from Three Dimensional Printers to Smart Grid Homes has come up. It’s loads of fun. A couple things in particular popped up that I thought might be interesting to highlight here though, as relates to all us fans of Kindles and Nooks and such! 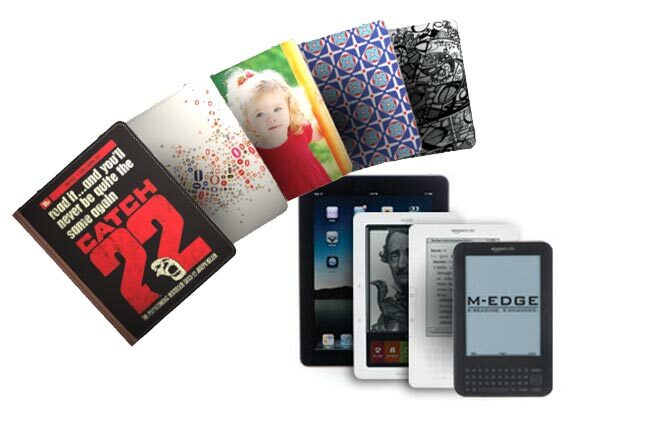 Going with the name “MyEdge” for the product line, M-Edge is getting set to open up a service allowing customers to have their Kindle, Nook, or iPad cover personalized with whatever photo they want right on the front. The idea is, you choose a basic cover color, along with any text you want on it, then add in photos, pictures, graphics, etc in whatever pattern works for you. They are aiming to have these personalized cases printed and shipped in 10-14 days. The pricing I’ve heard about is surprisingly affordable, with the Kindle cover being just $40, the Nook cover matching that, and the iPad cover costing only $50. While the service is not quite open yet, if you’re interested you can head to their website and be notified when ordering opens up. One of the biggest impediments for many newcomers to the eBook phenomenon has often been that book lovers are very attached to their libraries. Personally, I’ve come to dread moving for no other reason than that books are heavy when you get a couple thousand together all in one place. Anyway, when you already own all your favorites, it really doesn’t make much sense to go out and buy them all again just so that they can fit on your Kindle. This isn’t a move from VHS to DVD where the quality is suddenly going to excite you, they’re books! 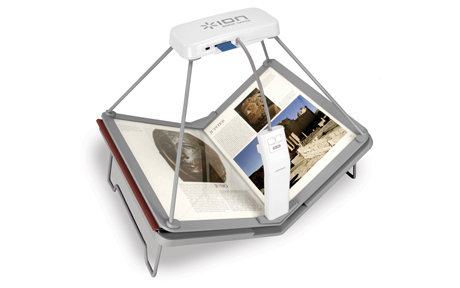 The solution that Ion(a company probably best known for their audio converter hardware) has come up with is an interesting looking scanner made specifically for books. The device as a whole is a little bit bulky, and far from automated. It’s not going to look at your book and do the work for you. 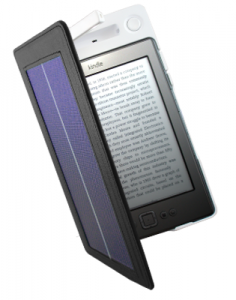 What you get is a scanner with a surface angled to allow book pages to lie flat without being held down firmly that can supposedly scan both pages of an open book in about a second. It will come with some form of OCR software to give you a file that has selectable text, reflow capabilities, etc, rather than your usual flat image or PDF file. The whole thing looks simple to use and should be useful to anybody with the time and interest to spend a few minutes turning the pages. This should all be good, legally, given that any book you scan should in theory be something you own, but I’m sure there’ll be some objection along the lines of piracy at some point. Still, I know that I have a few out of print books that I will be immensely pleased to have digital scans of as soon as this one comes out. Admittedly these are only a couple of the fun things we have to look forward to now, but they intrigued me and seemed worth pointing out. Enjoy!